392 p., 15,6 x 20,9 cm. In the contexts of diverse attempts to save the transformative force of German Idealism and of the extensive controversy with Reiff about the foundation of philosophy, the system of Krause was received in the 40’s of the 19th century through philosophical compendia, and through journals edited by Fichte, Ruge, Schwegler or Noack (Chap. 1-3). 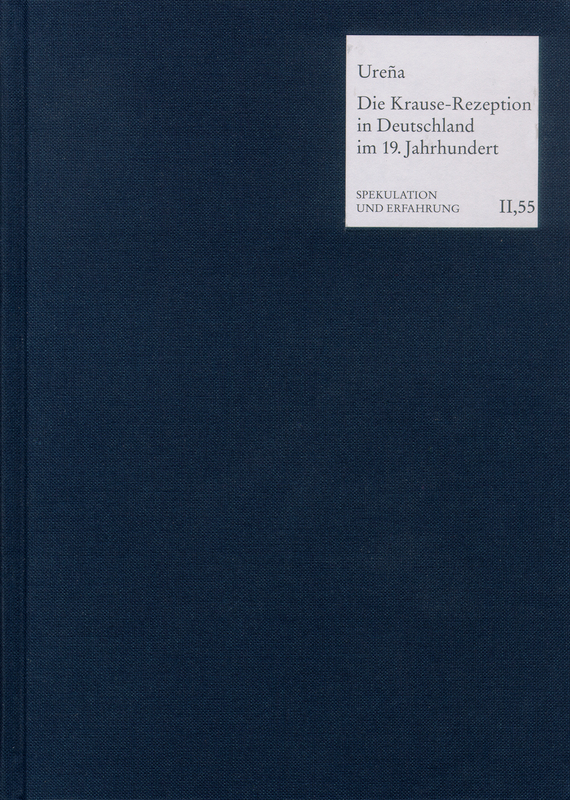 Chapter 4 studies the Krausian position vis-à-vis the Deutschkatholizismus in comparison to those of Gervinus, Bayrhoffer or Vischer; Chap. 5, the reception of the Krausian juridical philosophy by the doctrines of the State and of the economy in the University of Tuebingen.